Uranus is the planet of revolution, rebellion, innovation; sudden change and abrupt turn-arounds. When this planet affects your horoscope, expect the unexpected! Uranus brings a desire for individuation and independence. 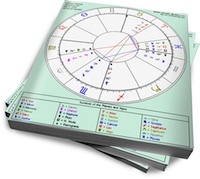 It is the modern ruler of Aquarius and is associated with the Eleventh House. The following essays explore the role of this disruptive planet in relationships. The Seventh House curse of Uranus on the Descendant?